Every year in the United States, heart attacks and strokes claim thousands of lives. But it doesn’t have to be that way. Many of the risk factors associated with these serious health events are manageable, making the problem preventable. 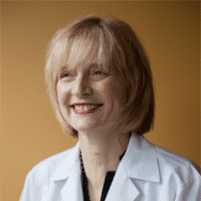 At POTENTRx in Seattle, Dr. Sarah M. Speck, Dr. Dan G. Tripps, and their team of specialists offer a comprehensive Stroke and Heart Attack Prevention Evaluation to help clients manage their risks and stay healthy. What are the risk factors for heart attack and stroke? Increasing age: People older than age 65 are at greater risk for heart attack and stroke. Gender: Men have a higher heart attack risk, women have a higher stroke risk. Family history: Having a parent, grandparent, or sibling who has had a heart attack or stroke raises your risk. Smoking: Quitting smoking decreases your chances of having a heart attack or stroke. Hypertension: Getting high blood pressure under control can cut your risks. High blood cholesterol: Managing your cholesterol and triglyceride levels can help reduce your heart attack and stroke risk. Physical inactivity: Staying physically active can help reduce your risk of heart attack and stroke, as well as help prevent chronic disease. Obesity: Losing excess body fat, especially around the waistline, helps prevent heart attack and stroke. Stress: Chronic stress or poor stress management may contribute to your heart attack and stroke risk. Alcohol: Drinking too much alcohol can increase your risk of having a heart attack or stroke. Diet and nutrition: Eating right can reduce your heart attack and stroke risk and help prevent disease. 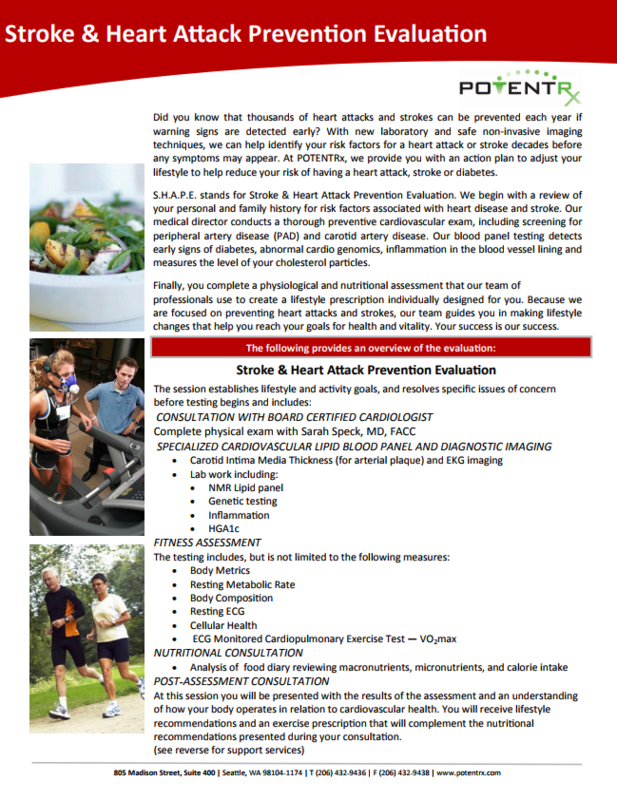 The Stroke and Heart Attack Prevention Evaluation requires 2 appointments. The first appointment lasts about 3 hours and includes a cardiovascular exam, a comprehensive physiological assessment, and a nutritional consultation. During this appointment, your doctor reviews your lifestyle, personal health history, and family history before you undergo a comprehensive physical exam including lab work, an assessment of the plaque buildup in your carotids, and exercise testing. Afterward, you’ll sit down with a nutritionist to go over nutritional goals and recommendations. During the hour-long, follow-up consultation, you’ll receive the results of your evaluation, along with detailed lifestyle recommendations and a personalized exercise prescription aimed at minimizing your risks.